These two lovebirds hail from Atlanta, Georgia and chose Como because of its ethereal, otherworldly beauty. 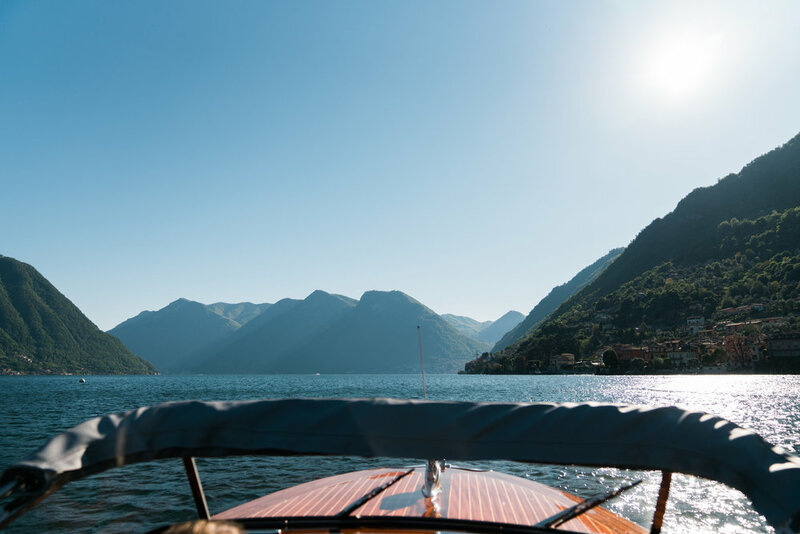 It really is the crown jewel of the Italian lakes, a place so special that Mark Twain called it a "heaven of quiet rest." Tammy & Steve made Como their own personal heaven by choosing to spend a week all to themselves in the distinguished Grand Hotel Tremezzo. The city of Tremezzo sits across the lake from the old Roman holiday haunt, Bellagio, a unique spot on Como where the lake separates into two channels. The Grand hotel is a favorite spot for dignitaries and celebrities. 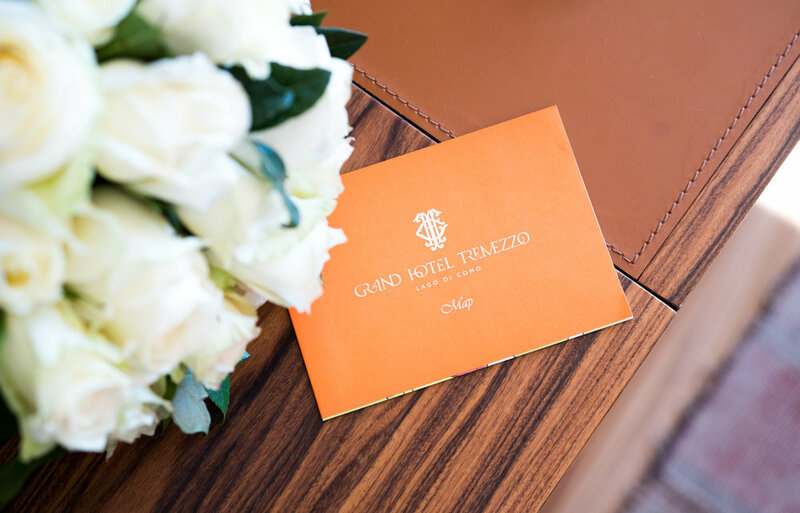 (A five night stay to the Grand Hotel Tremezzo was included in each Academy Awards presenter bag last year). 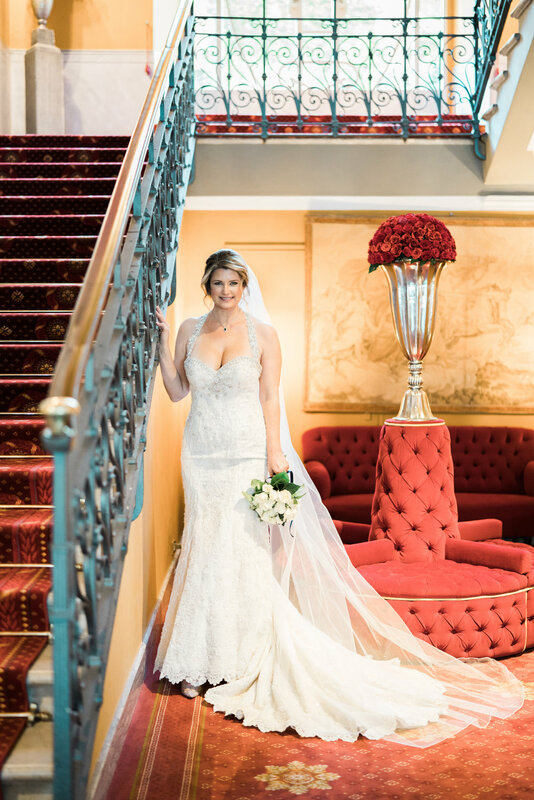 Our bride and groom stayed in the Balbianello Suite, named after the Franciscan monastery the couple chose to be married in later that day. Tammy was radiant in her gorgeous halter gown, Louboutin & Jimmy Choo shoes (Tammy might have a slight shoe addiction. 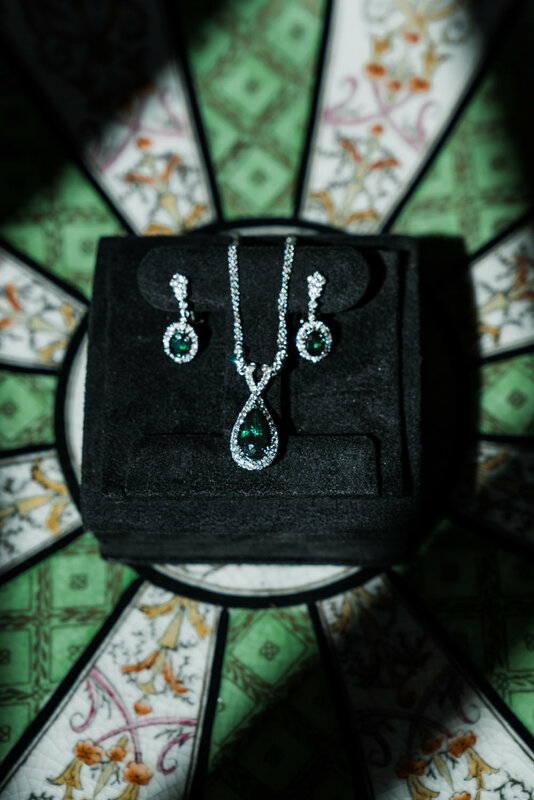 I wish, WISH I could post her bridal boudoir photos here, because you have never seen so many rare, beautiful shoes in your life), and custom emerald and diamond jewels given to her by Steve. The couple had blue sapphire and diamond rings made to match, rings fit for royalty! Steve wore a traditional Scottish kilt (imported from Scotland, of course), complete with sporran, Prince Charlie jacket, silk flashes (a pair of decorative pointed vertical strips of fabric attached to elastic sock garters) and silver-mounted sgian dubh--an ornamental knife. 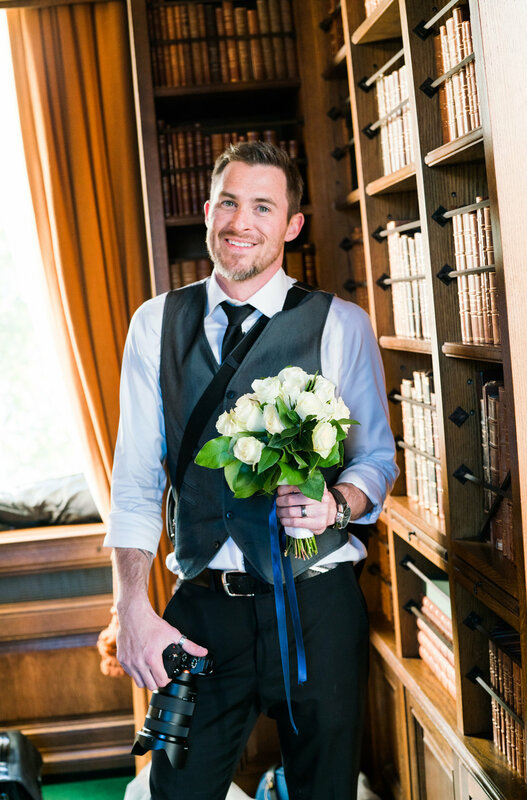 We photographed them on the lush grounds of the hotel including the rose arbor, gardens, and the grand staircase. 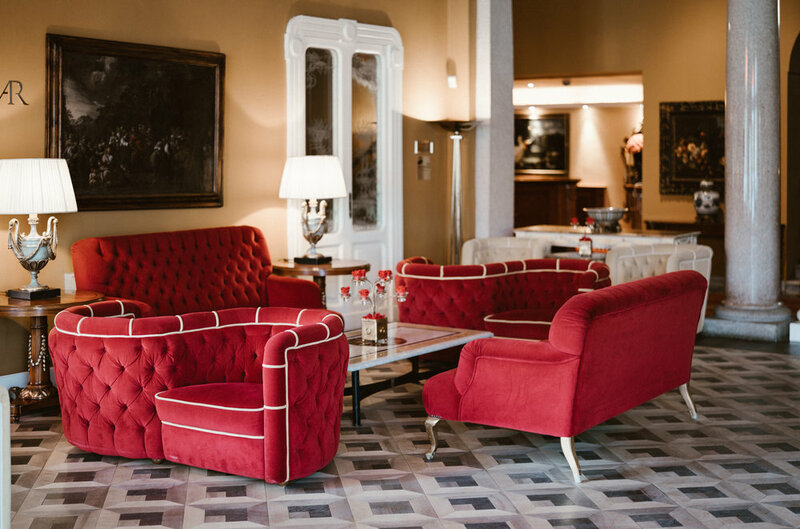 Then we hopped onboard Batt, an elegant boat designed by the architect Ruggero Vanelli in Venice and named for an ancestor of the family who restored Grand Hotel Tremezzo. 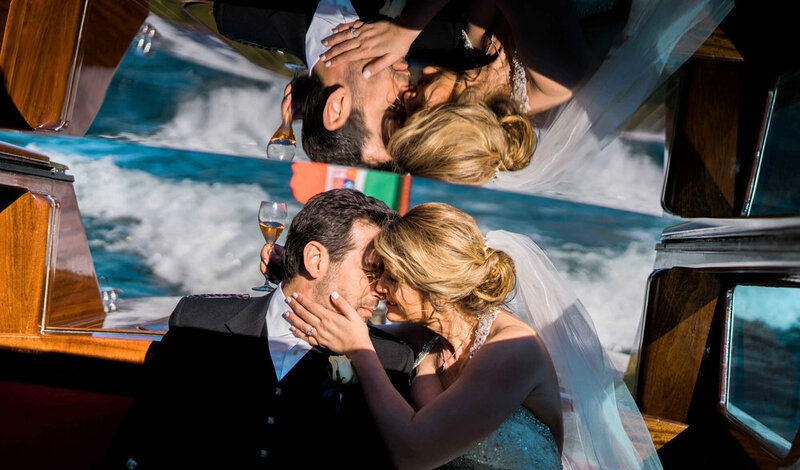 We were able to create some beautiful images aboard this special boat. 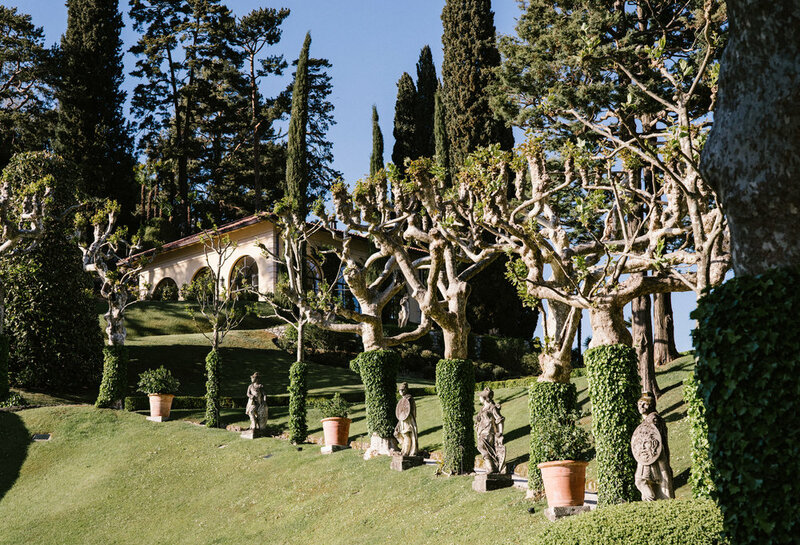 From there, we arrived at Villa del Balbianello, a glorious Renaissance masterpiece of architecture and landscape. It is gasp-worthy enough to have served as a backdrop for Starwars Episode II and Casino Royale among other feature films which needed a location that felt rich, historical, elegant, and out of reach for normal people. To say that we felt lucky to shoot here is an understatement! Steve and Tammy were married under ivy-draped arches in the glowing golden sun. The spot was intensly windy, but smiles were had all around regardless. Diane Rossi Celebrant from Blessings in Italy did a beautiful job arranging their traditional Italian ceremony which emphasized the importance of love and family. 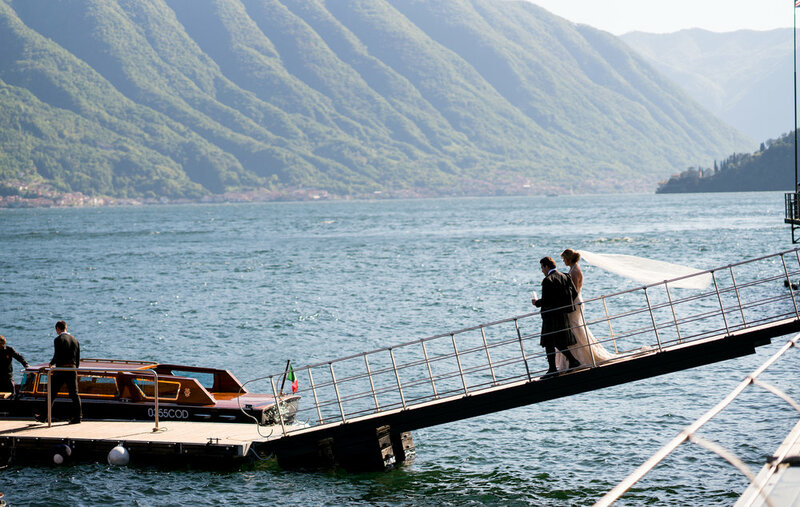 Afterward the couple spent some quiet moments on the grounds and it was back on the boat to the hotel for some drinks and tasty bites from Grand Hotel Tremezzo's fabulous kitchens. We enjoyed this wedding more than words can express, mostly due to Tammy & Steve themselves. They were warm and generous with their conversation and friendship. Our favorite part of this work we do is meeting people we have the privilege of experiencing at their most vulnerable. 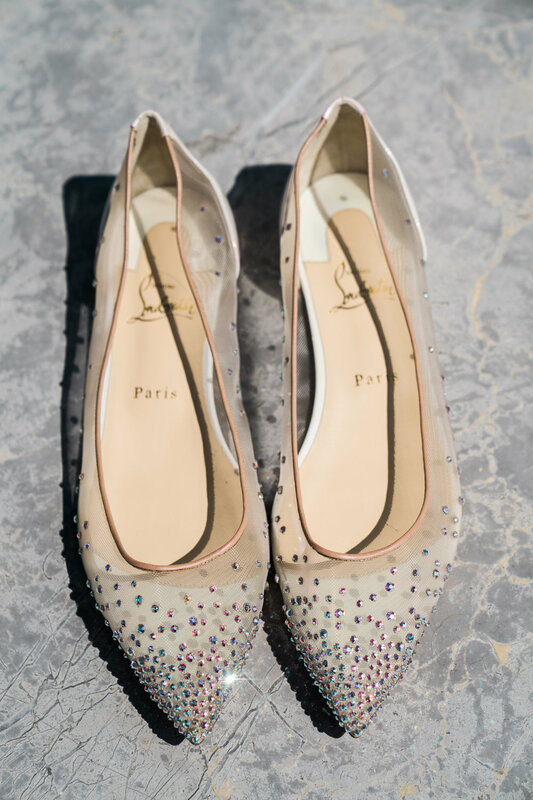 Steve & Tammy opened themselves up and allowed us to see them full of love for one another and also giddy from the experience of eloping in Italy, a true heaven on earth. Many thanks to you, Steve & Tammy, for an unforgettable experience!